NEW YORK CITY and DENVER: March 11, 2019: Today, the NYU Stern School of Business Center for Sustainable Business and IRI® released the findings of a new U.S.-based study and established the Sustainable Share Index™, an in-depth analysis of consumer purchases of products that are marketed for their sustainable attributes. 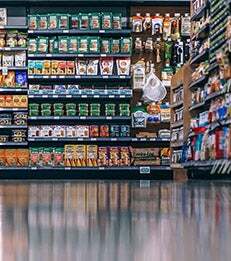 The research finds that sustainability-marketed products are responsible for more than half of the growth in consumer packaged goods (CPGs) since 2013. The research conducted by Stern’s Center for Sustainable Business found that sustainability-marketed products delivered 50.1% of market growth from 2013-2018 while representing 16.6% of the CPG market in dollar sales in 2018. To conduct the research, Stern’s Center for Sustainable Business partnered with IRI, which contributed its comprehensive point-of-sale data on U.S. consumer purchases. The Center analyzed data from across 36 product categories, representing approximately 40% of total CPG sales, excluding tobacco and alcohol. Sustainable products have more than 20% category share in many food categories, including natural cheese, salty snacks, and coffee. The NYU Stern Center for Sustainable Business (CSB) envisions a better world through better business. The Center was founded on the principle that sustainable business is good business; delivering better financial results while protecting the planet and its people. CSB aims to help current and future business leaders embrace proactive and innovative mainstreaming of sustainability, resulting in competitive advantage and resiliency for their companies as well as a positive impact for society. Visit the Center’s website and follow on Twitter: @NYUSternCSB. IRI is a leading provider of big data, predictive analytics, and forward-looking insights that help CPG, OTC health care organizations, retailers, financial services, and media companies grow their businesses. A confluence of major external events — a change in consumer buying habits, big data coming into its own, advanced analytics and personalized consumer activation — is leading to a seismic shift in drivers of success in all industries. With the largest repository of purchase, media, social, causal, and loyalty data, all integrated on an on-demand, cloud-based technology platform, IRI is empowering the personalization revolution, helping to guide its more than 5,000 clients around the world in their quests to remain relentlessly relevant, capture market share, connect with consumers, collaborate with key constituents, and deliver market-leading growth. For more information, visit www.iriworldwide.com.